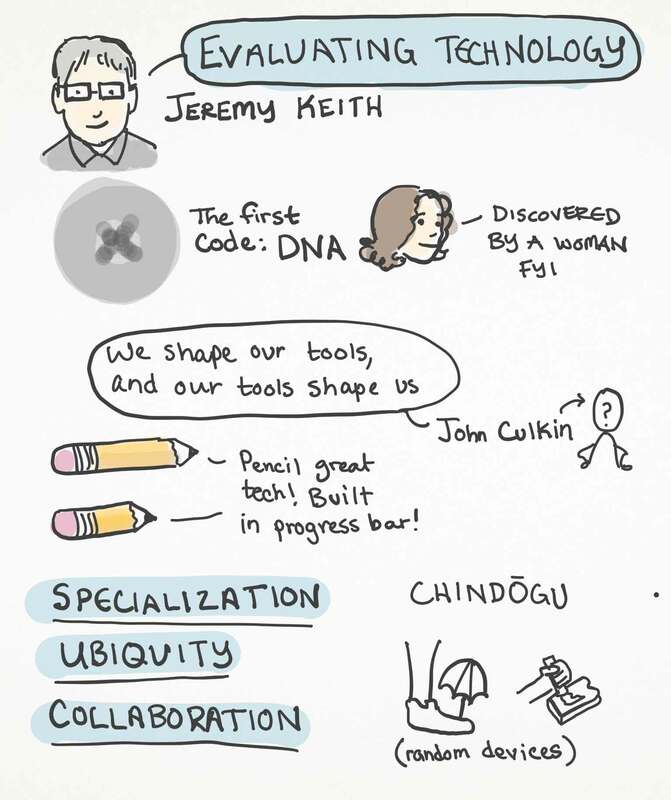 An Event Apart Seattle 2017 hosted speakers from a variety of disciplines. 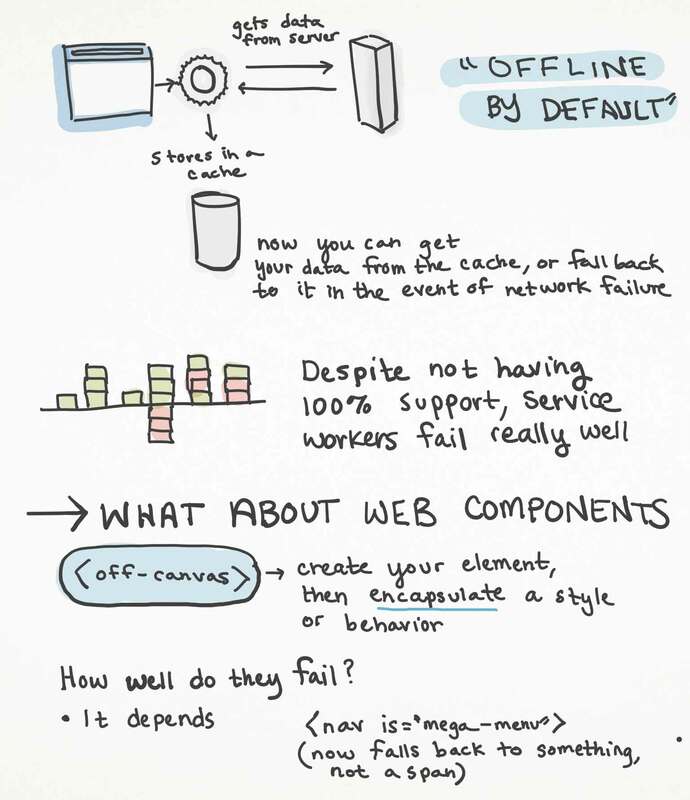 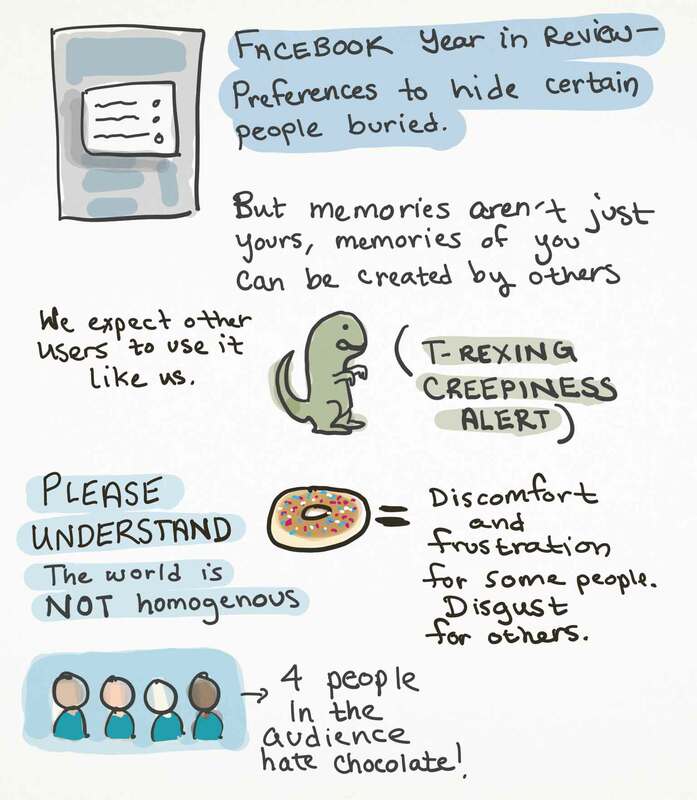 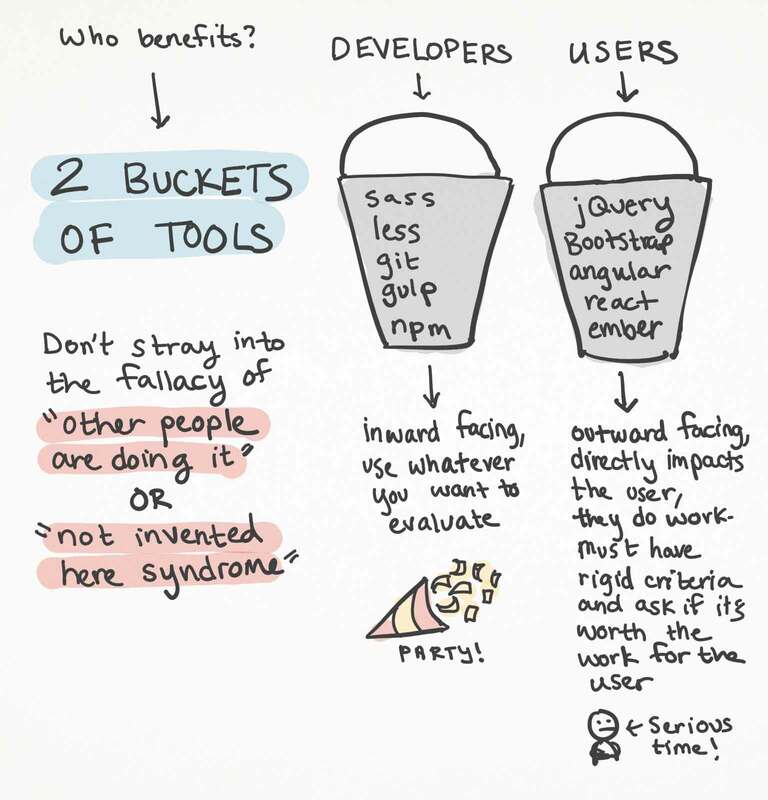 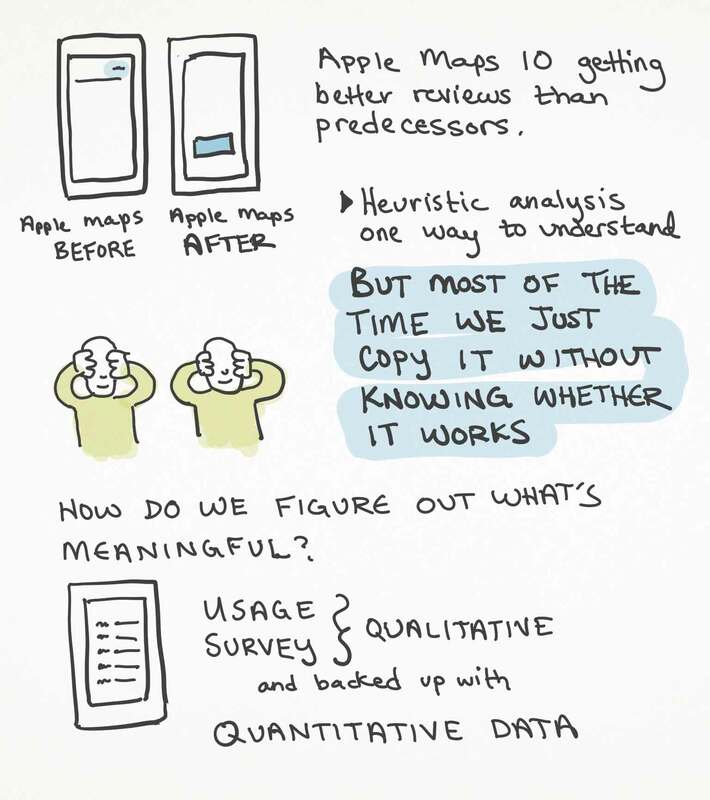 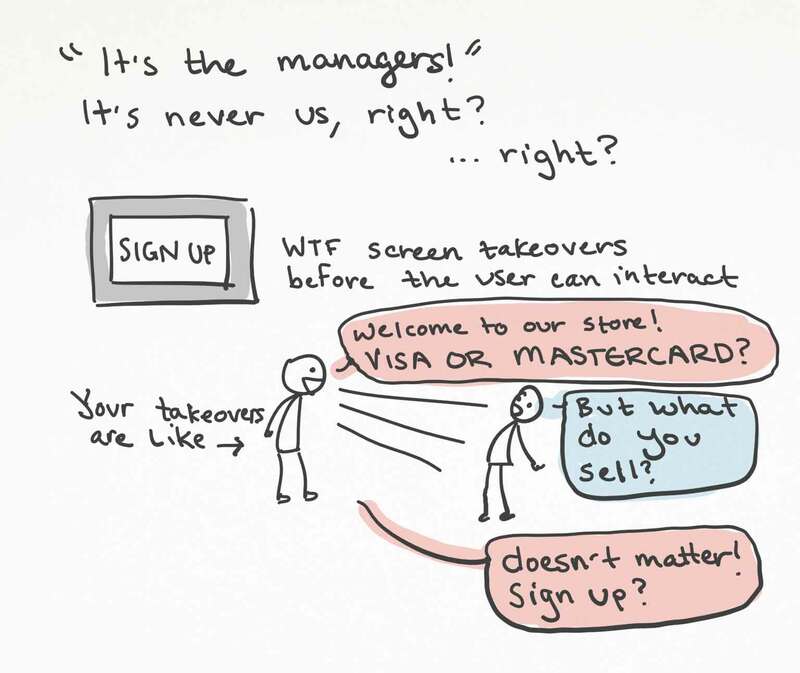 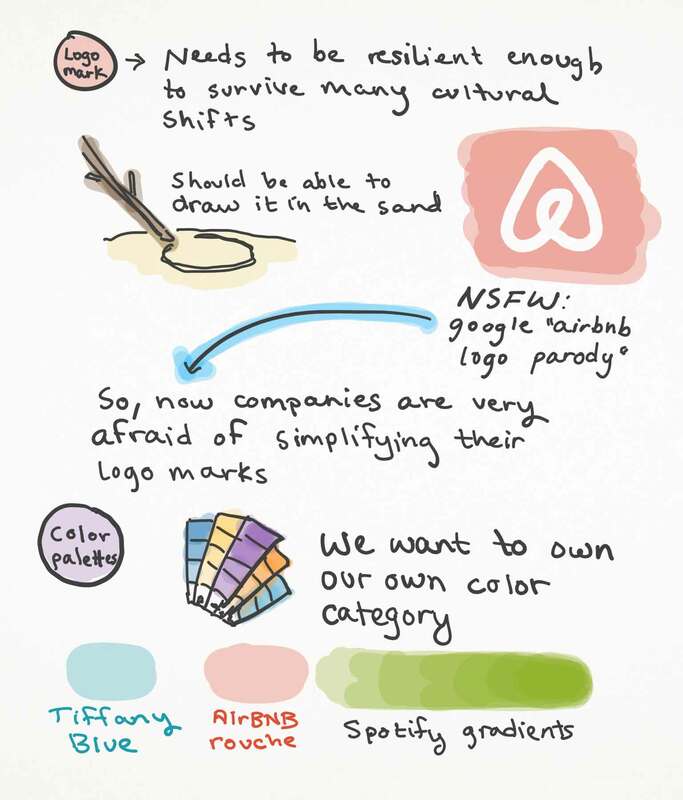 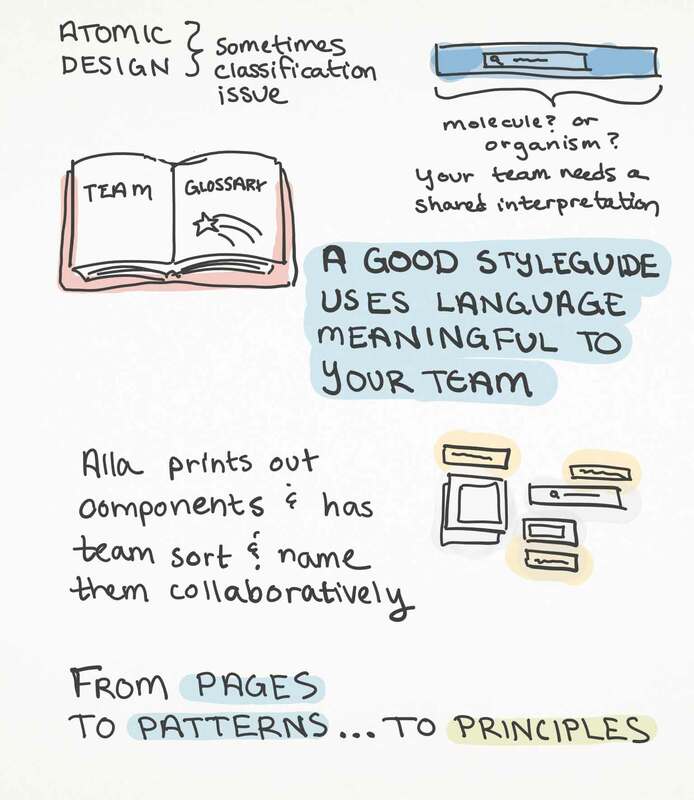 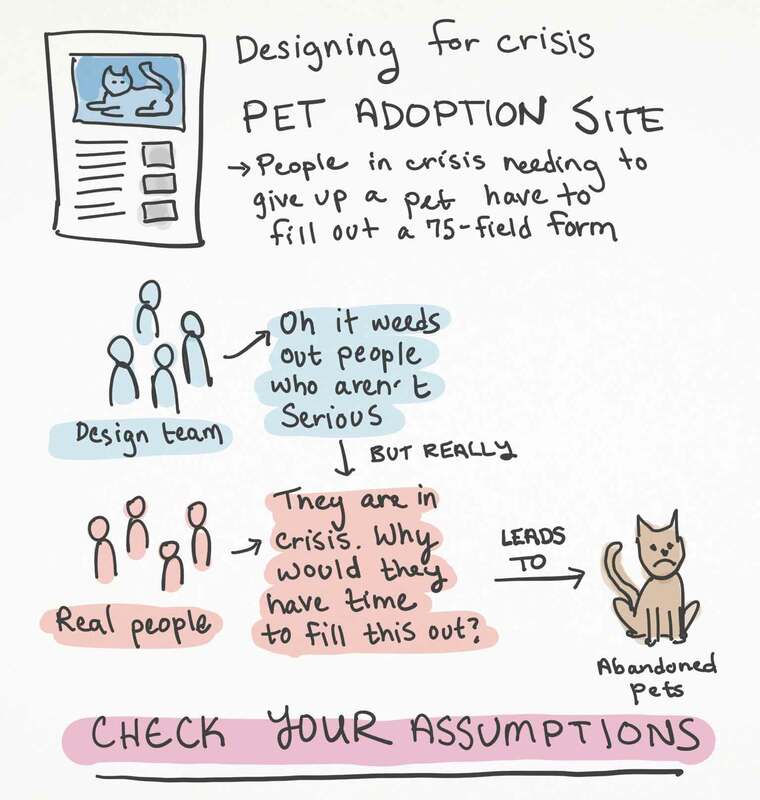 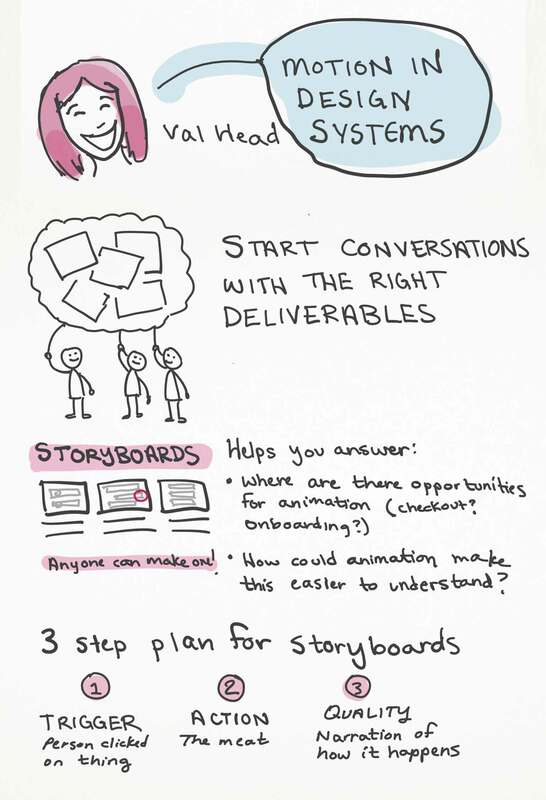 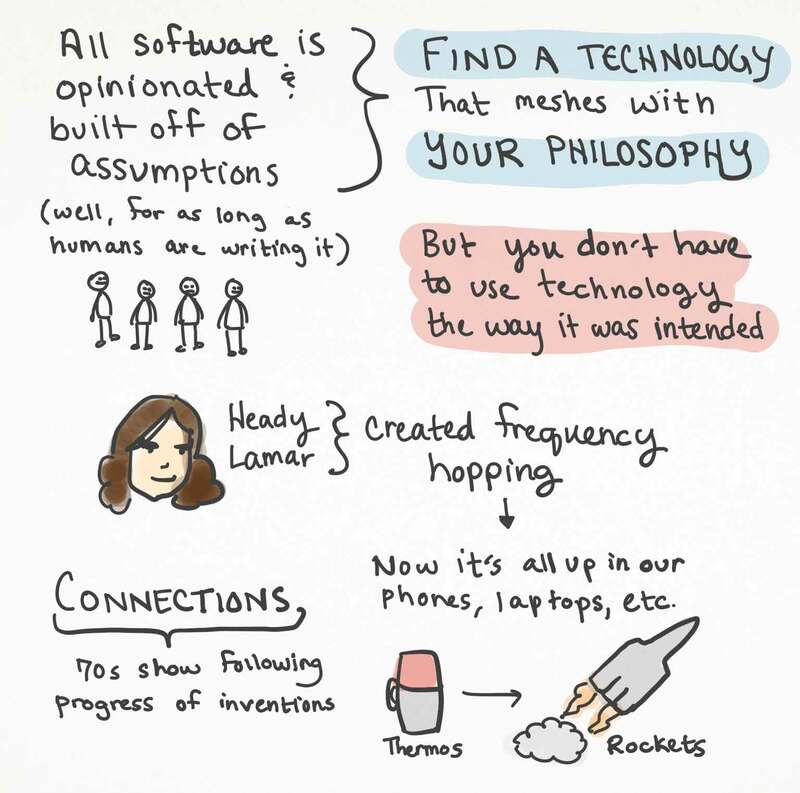 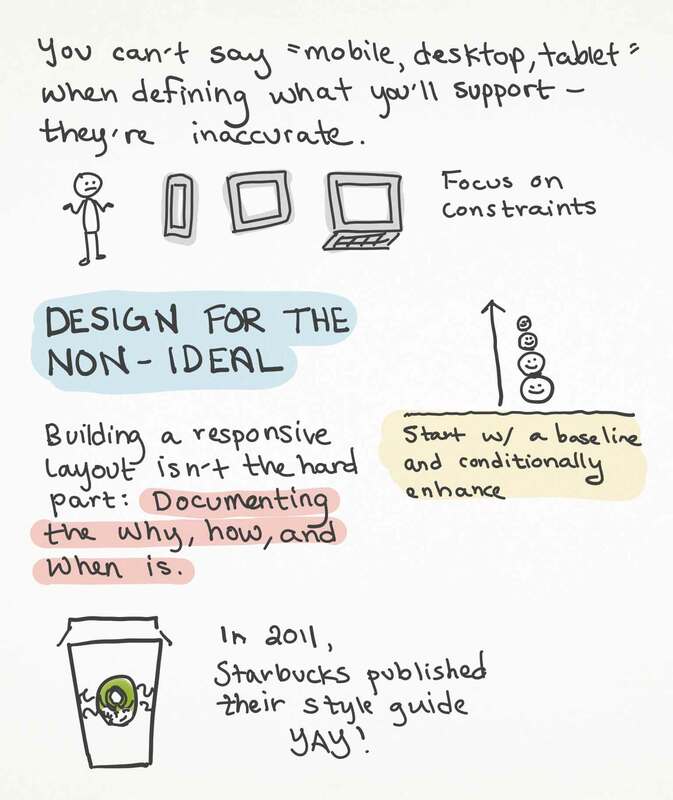 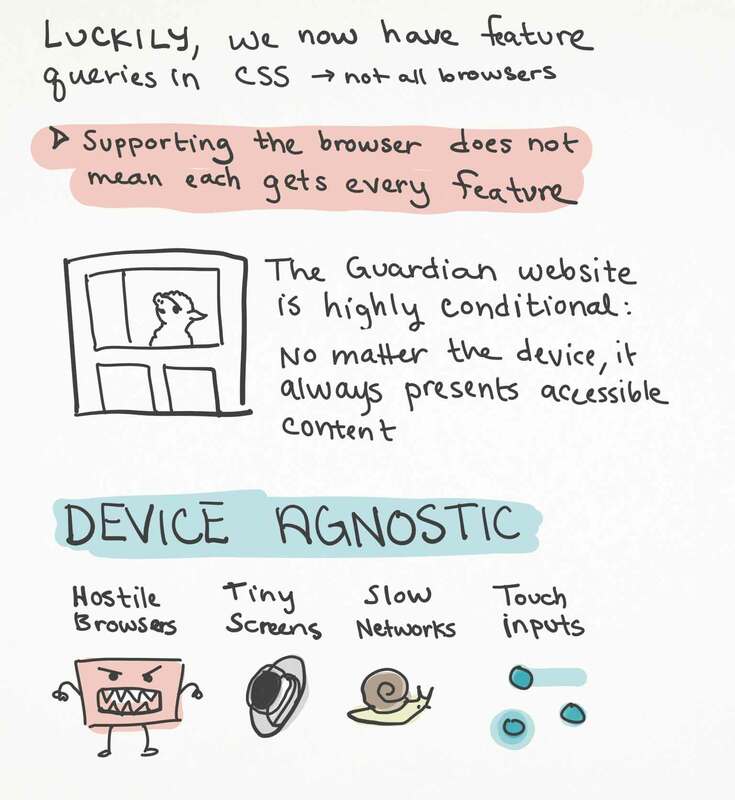 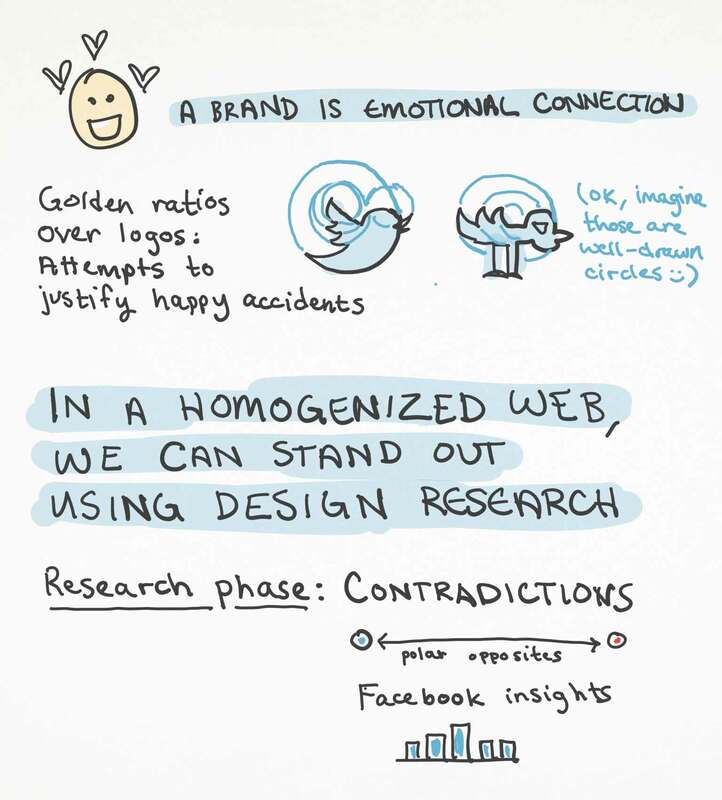 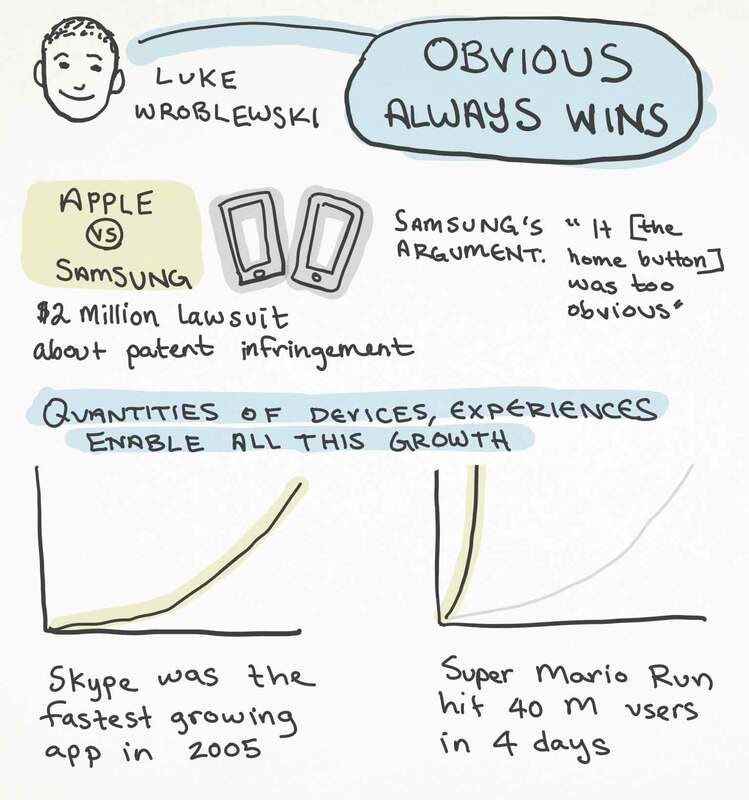 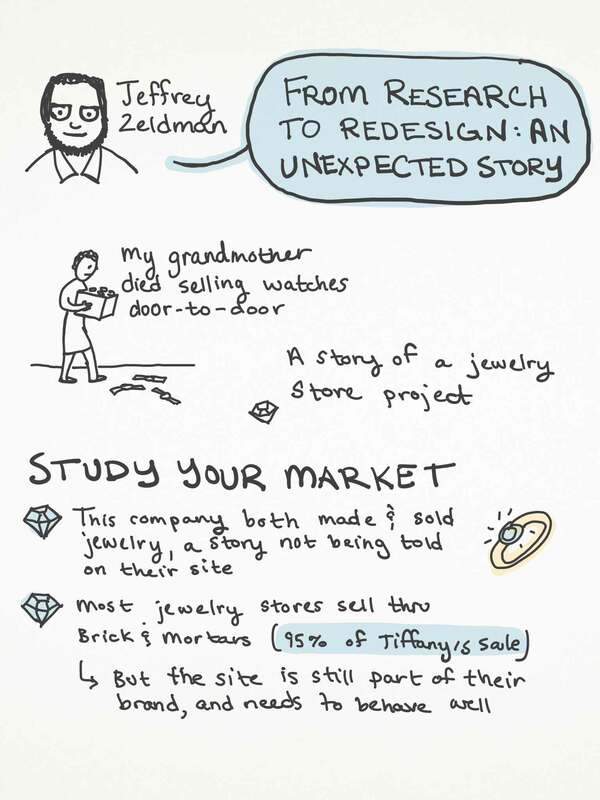 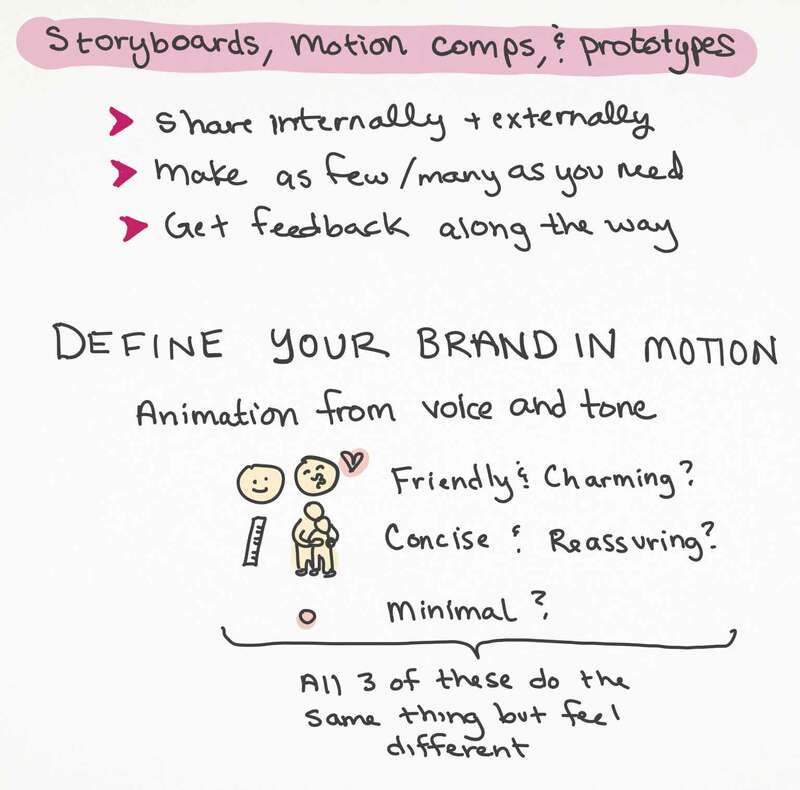 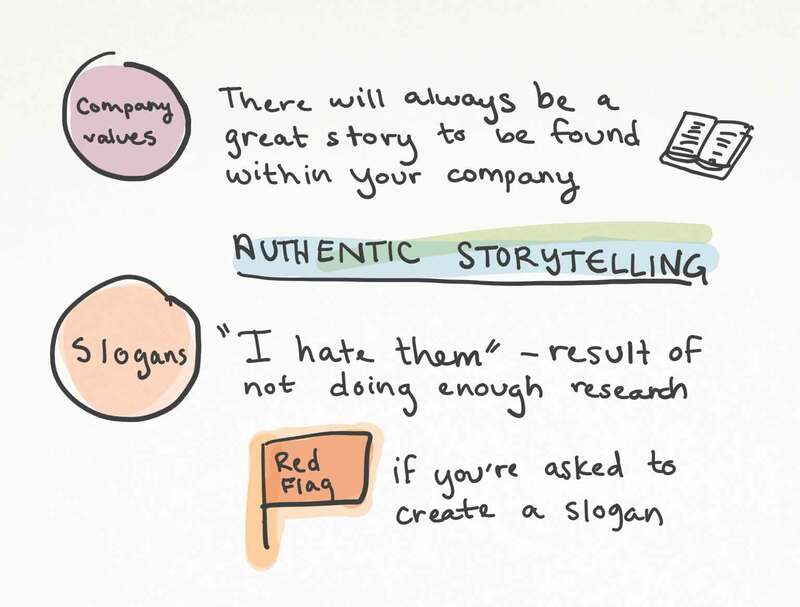 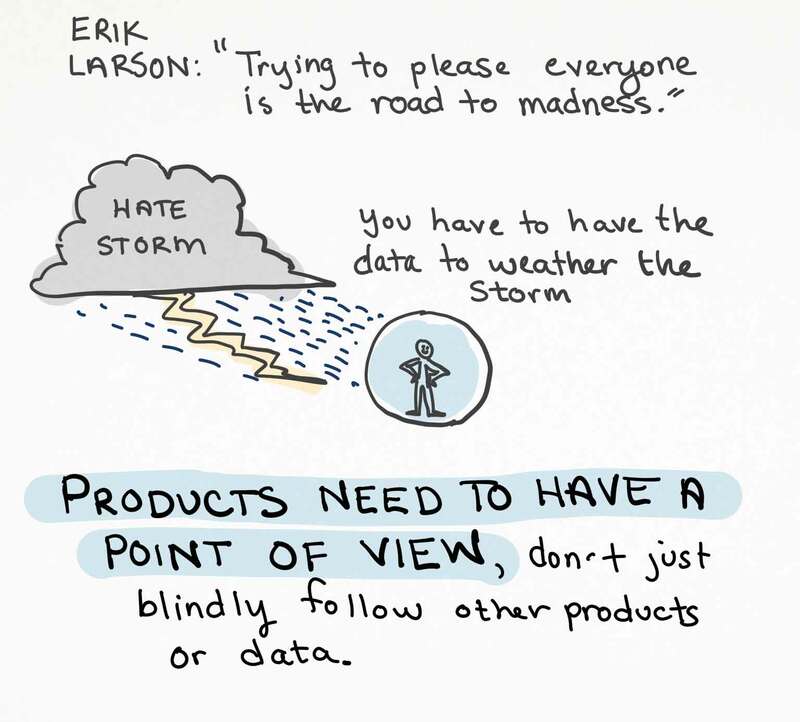 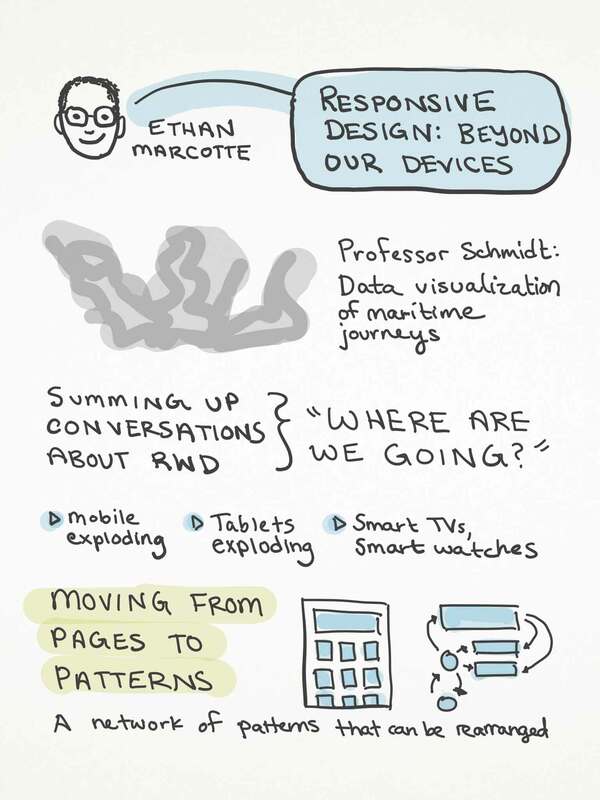 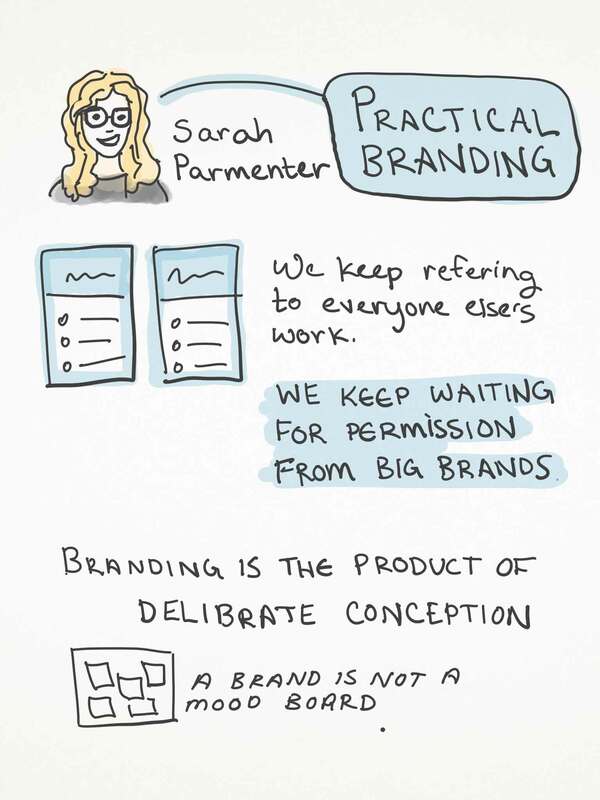 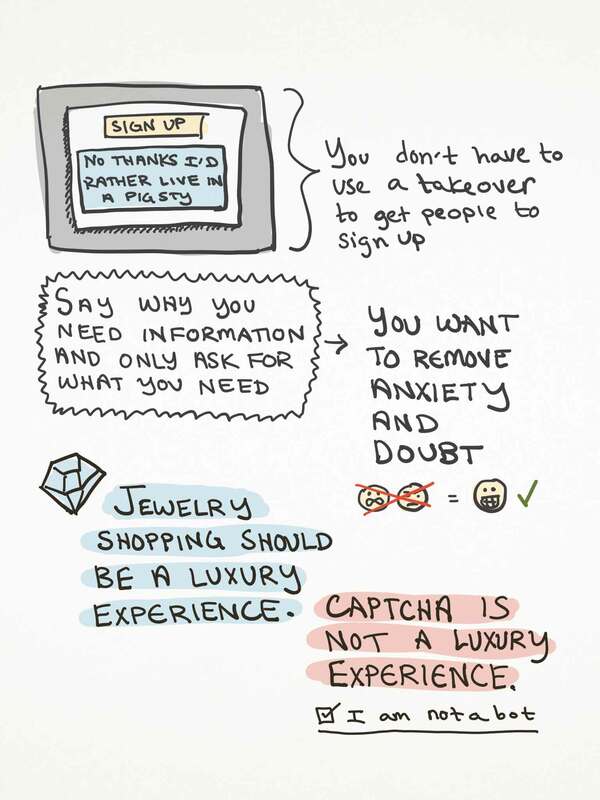 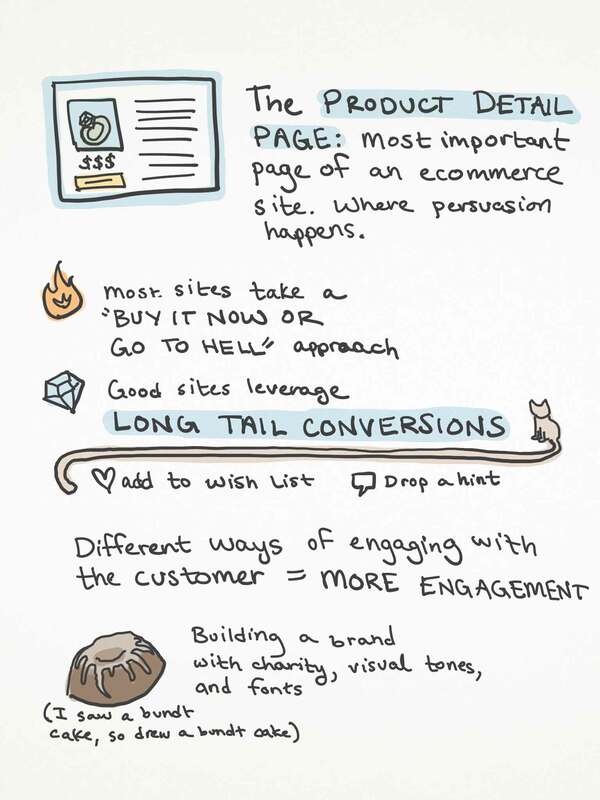 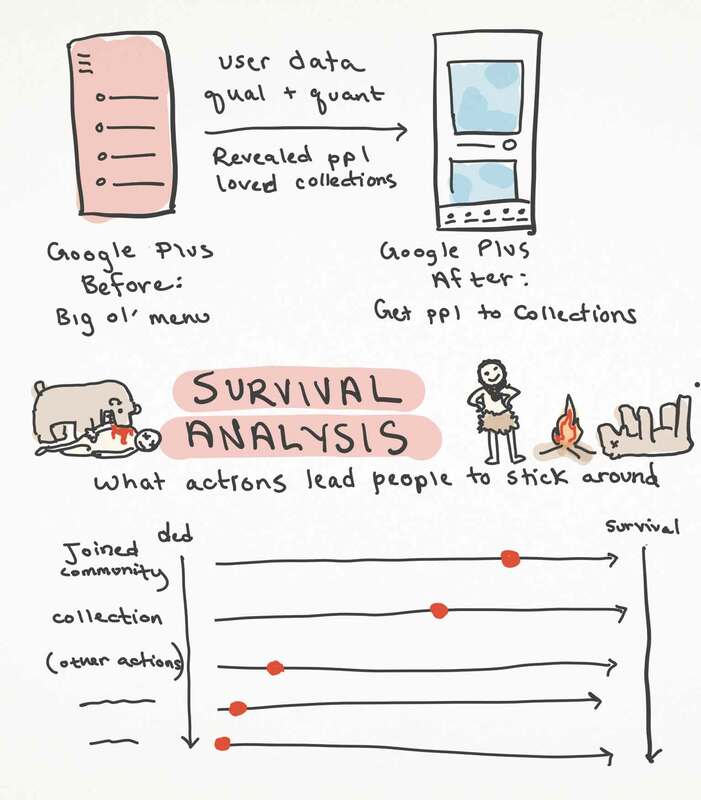 Enjoy a few sketchnotes from selected talks. 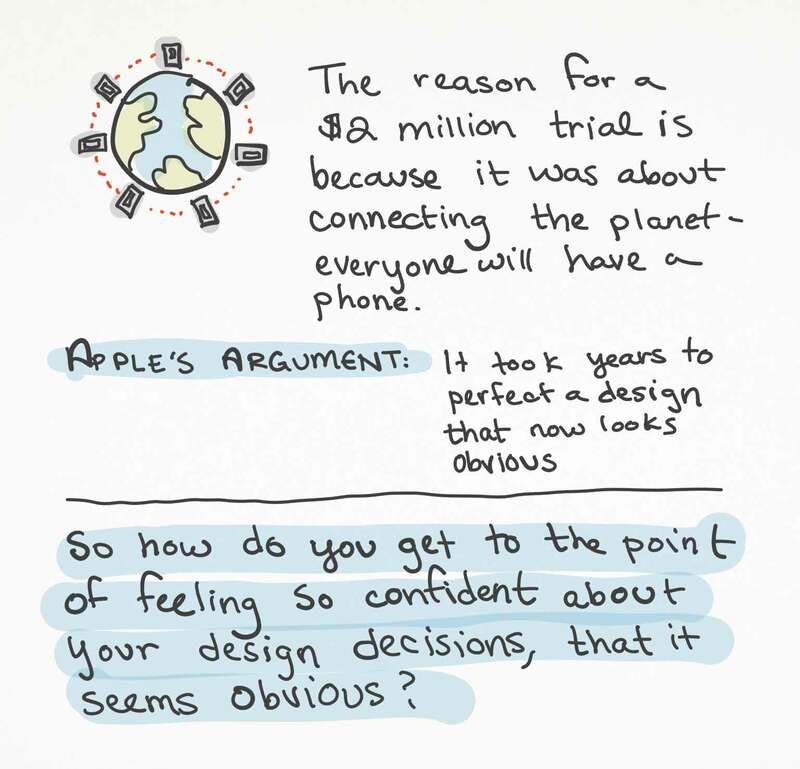 Working with real examples, Jeffrey showed how, the more you learn, the better your designs will work—on multiple levels. 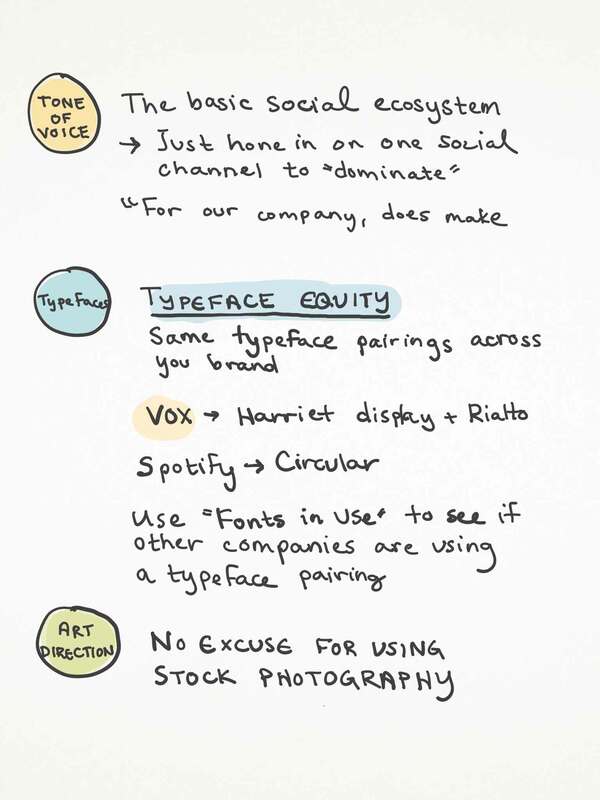 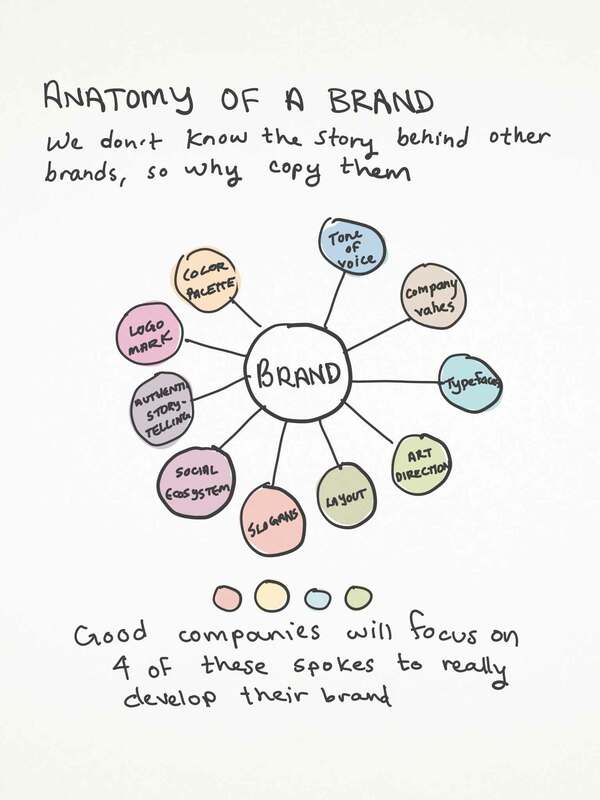 Sarah discussed what designing brands (including personal brands) looks like in 2016 and the social ecosystems that accompany them. 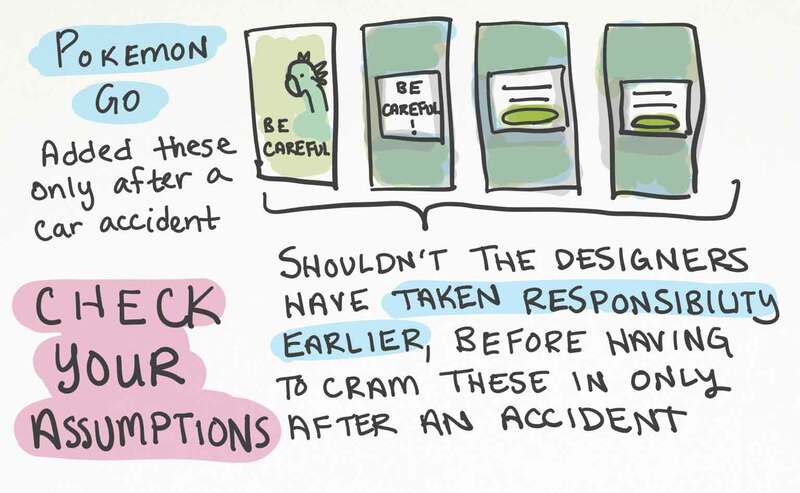 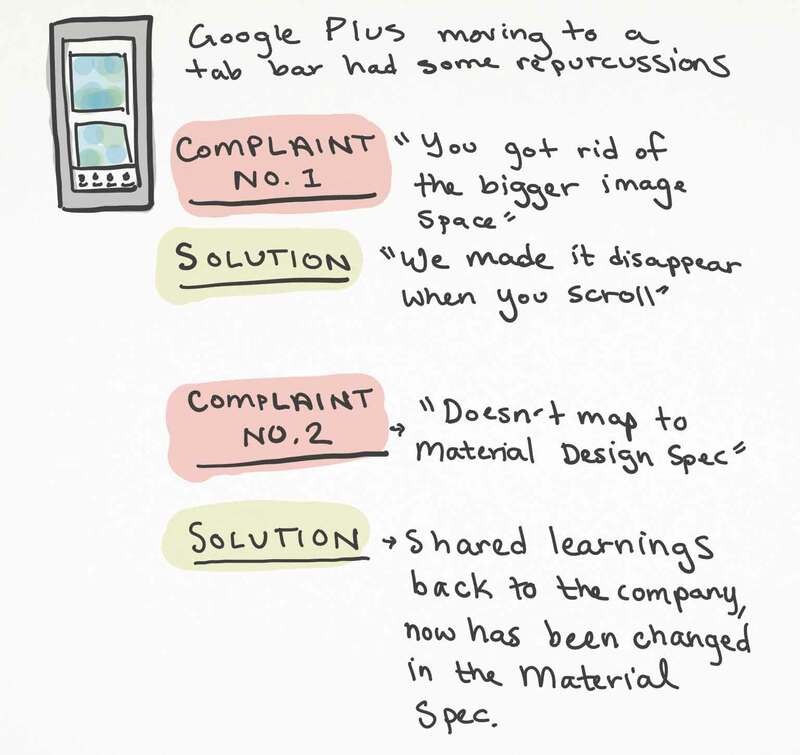 Luke took us behind the scenes to explore the thinking, processes, and iterations that go into an “obvious” design change. 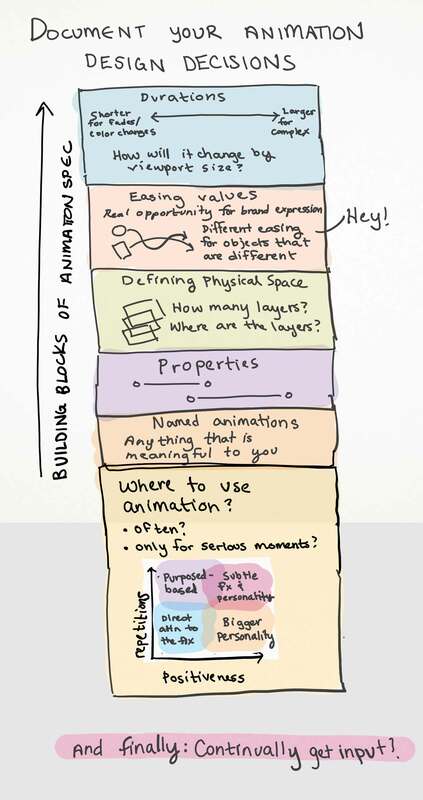 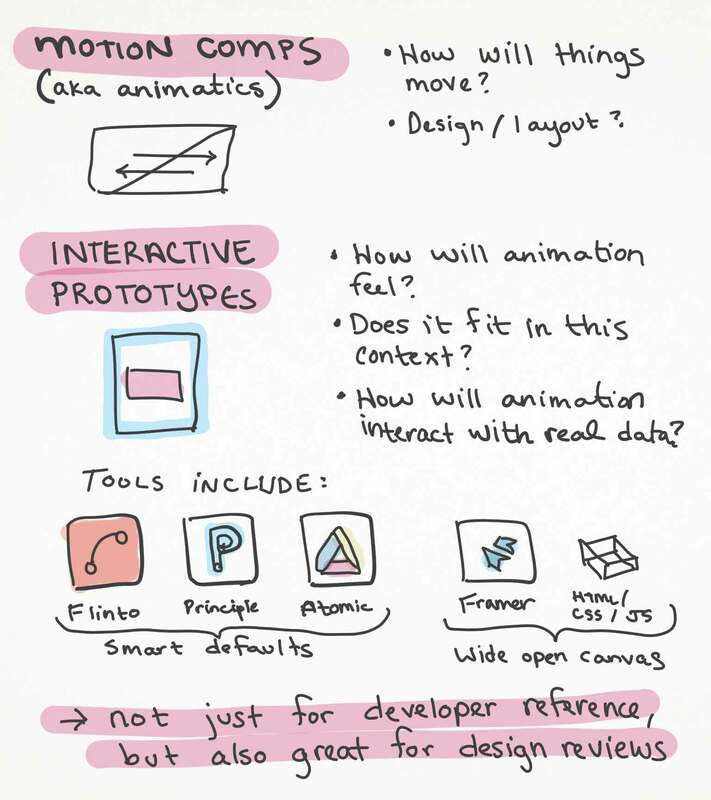 Val covered the guidelines for designing animation that fits a brand, how to make animation part of the design process, and how to document animation decisions in a style guide for future use. 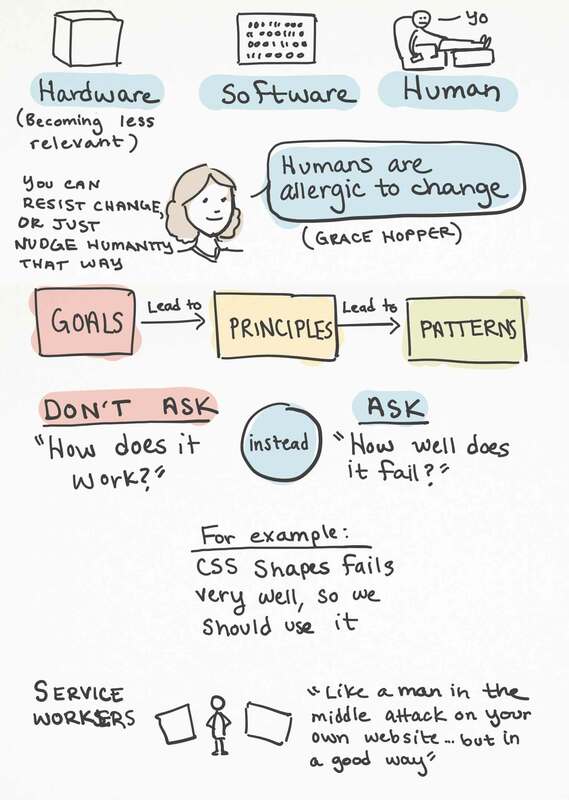 Ethan gave an inspiring talk that encouraged us as designers and developers to move beyond designing for pages or even patterns, and to look at principles instead. 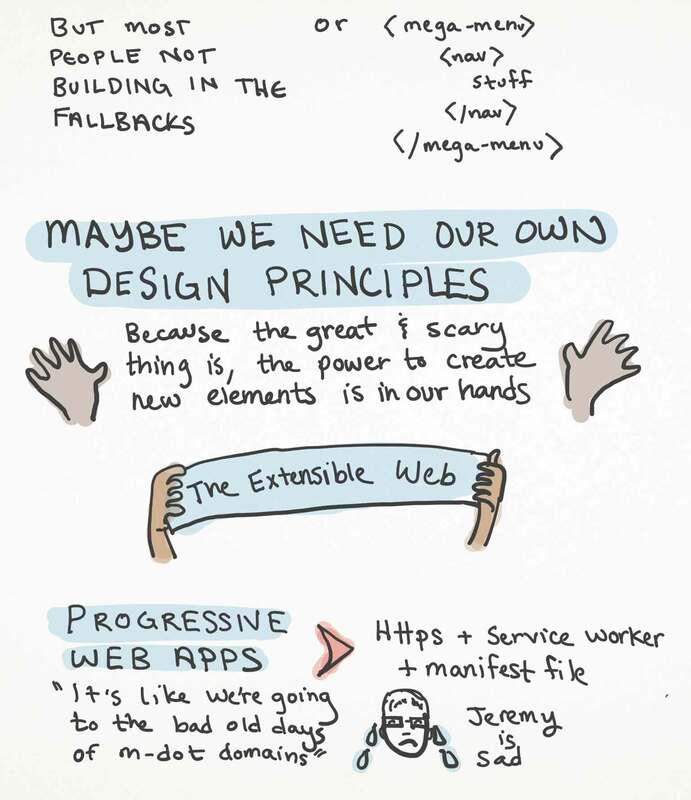 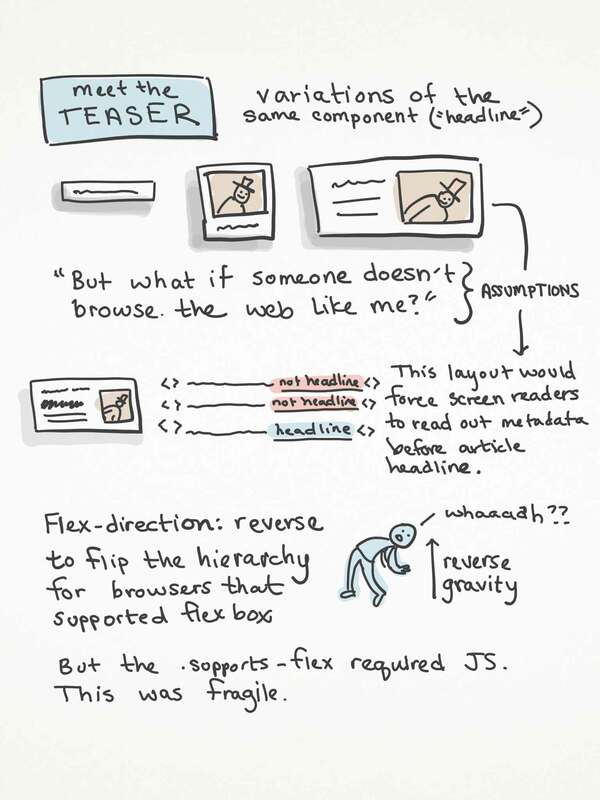 Through effective historical storytelling, Jeremy walked us through how to evaluate new technologies (like service workers and web components) with a user-centered approach. 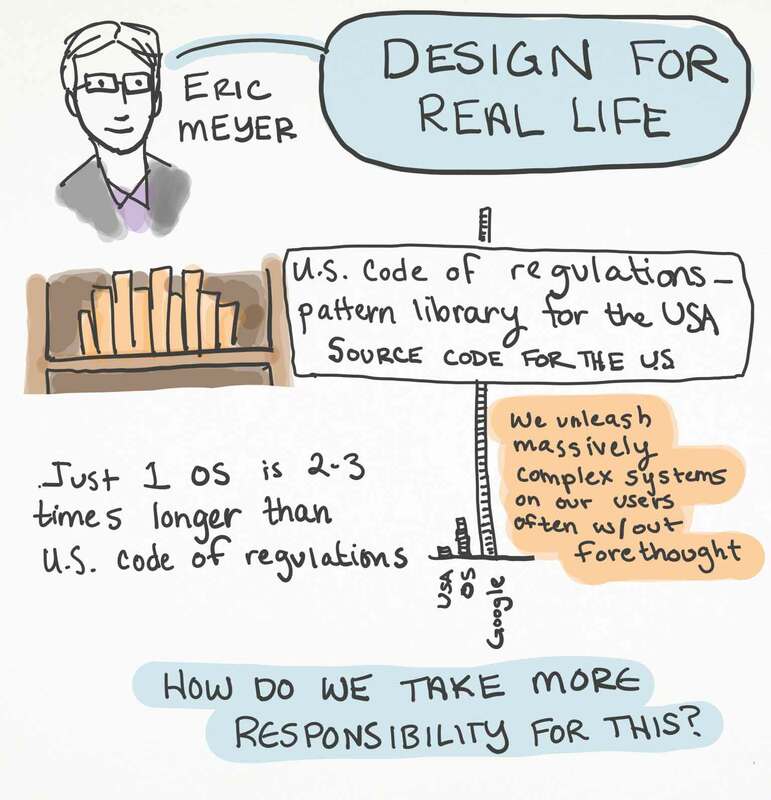 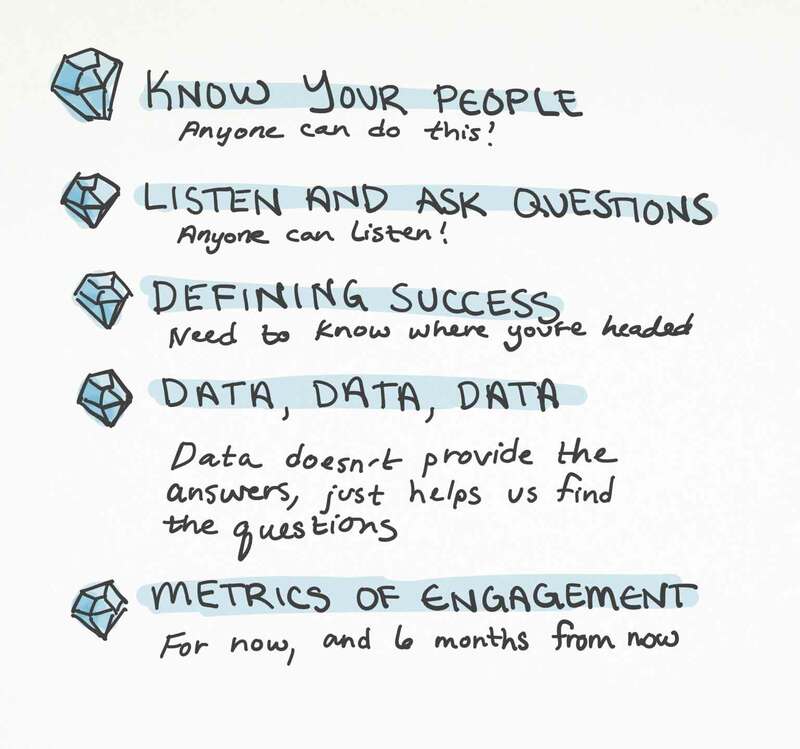 Eric used a combination of real-world examples and interactive exercises to explore a number of ways to QA work for real life, enabling it to serve more people, more of the time. 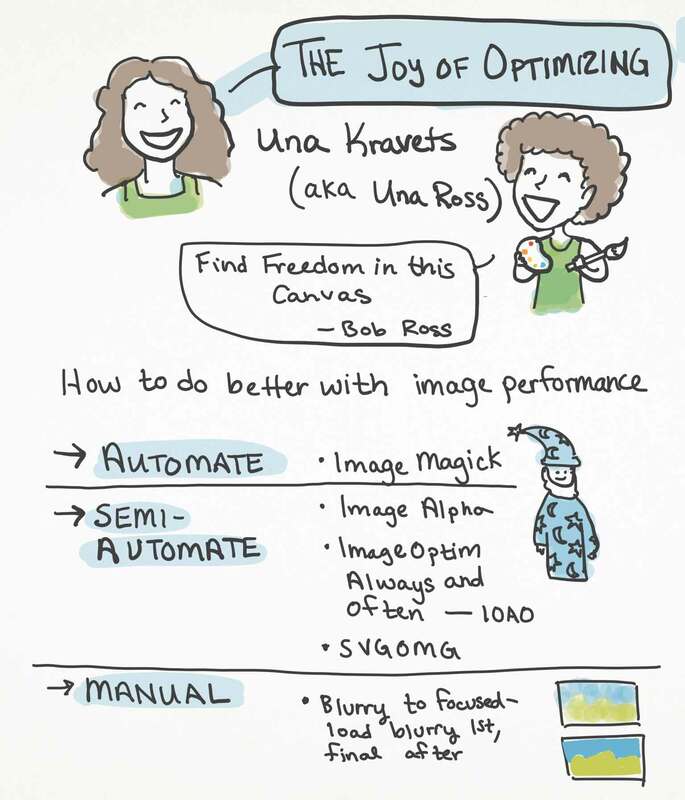 Una dove deep into image rendering and performance optimization techniques, demonstrating practical approaches to making web projects noticeably faster.